Bitcoin Legacy (BTFee™) is flirting with the $20,000 mark and is eagerly awaiting either moon or doom as everyone puckers their lips bracing for correction. Fundamentally, Bitcoin Legacy has a few key events that are behind what is going on. Twitter's @Bitfinexed has evidenced with great detail the correlation between correcting/waning Bitcoin Legacy markets and a printing of new Tether, which then leads to further upward movement. 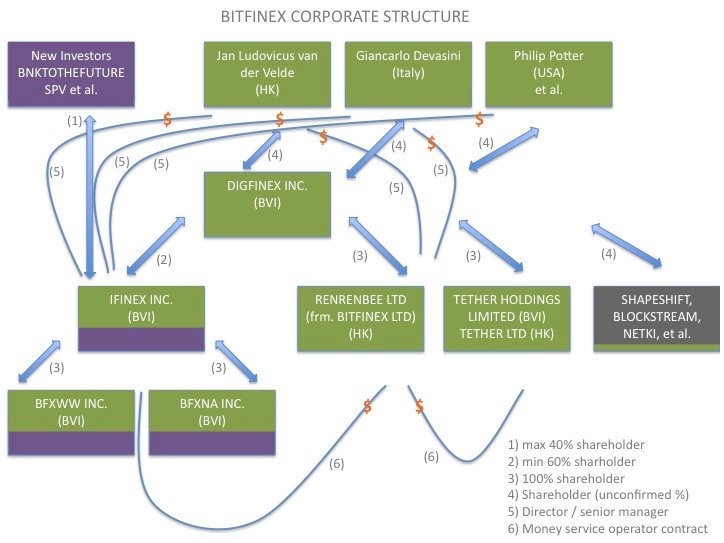 Blockstream, the centralized, global-bank-backed corporation that employs all of Bitcoin Legacy's developers, is a shareholder in Bitfinex and Tether. Also worth noting is Adam Back and Gregory Maxwell acted as Escrow for thousands of BTC on Mount Finex's behalf during the original Finex hack. And one of the top 3 retail brokerages, TD Ameritrade, is also offering the CBOE Futures product to “qualified retail clients” on Monday. 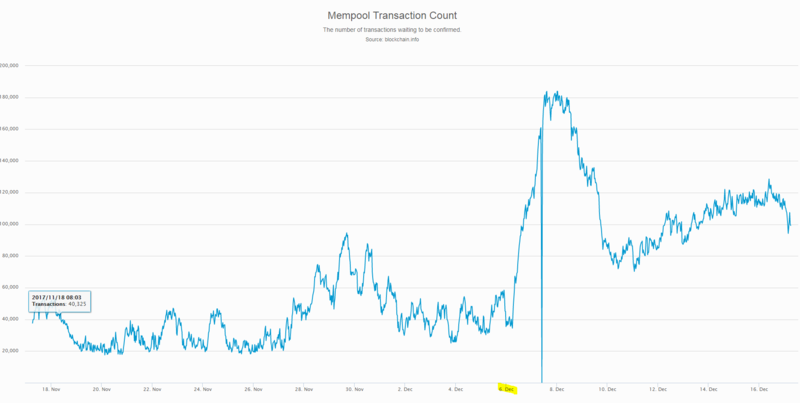 We also saw a very obvious correlation between unconfirmed transaction count and difficulty adjustment, which was a similar sized increase to what’s coming today. And a big time correlation between difficulty adjustment, unconfirmed transaction count, and transaction fees. So, in summary, we are on a run away train to a new all-time high that will be met with further problems that Blockstream is completely unwilling and unable to solve. Just how serious is the problem? I've been chronicling every single Tweet I come across in one convenient Twitter moment. People are right that the boom in crypto is natural growth from adoption rather than the result of a bubble. 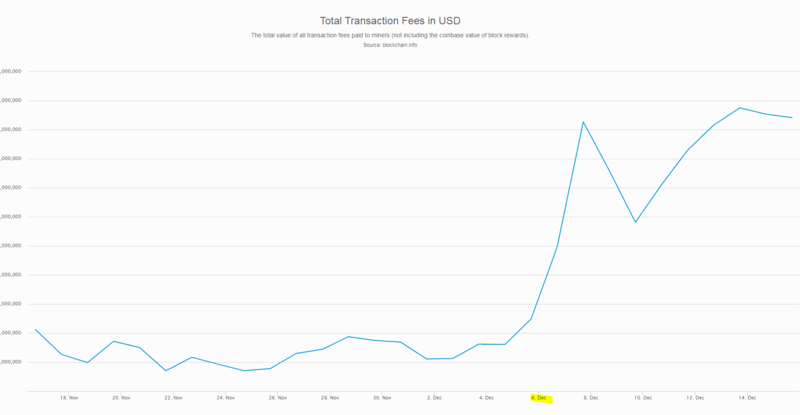 That being said, fees are exactly what's going to cause the Bitcoin Legacy bubble, and crypto will move forward. Their only solution or hope on the horizon? 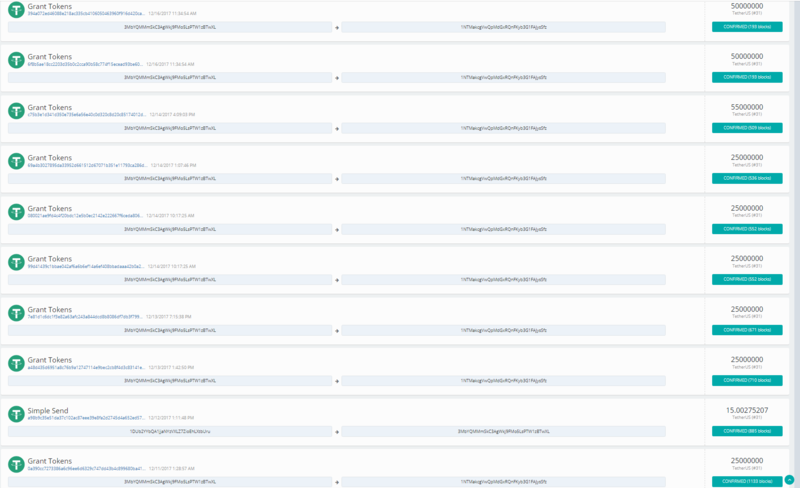 Lightning Network™. A bankster’s paradise. A walled garden that’s designed to take you off-chain, where your money is secured and controlled by you, and put you inside of another centralized walled garden system. Regarding trade thread posts, we've met with great success. Subsequently, the cost on this post will be half of the average transaction size. After all, according to Blockstream rhetoric, Bitcoin Legacy is a store of value that is not meant to be transacted, and so you are expected to pay a premium to do so. As evidenced by the fact that people are paying $20,000 for the privilege of purchasing a token with these characteristics, I will also be setting my price commensurately at $12.88. I feel that if a person is willing to pay $26 to merely send their Bitcoin, $13 is a very fair price for a guided trade structure with targets, stops, and continual updates. @eleare - At this point I think there are so many independent players at the table with Bitcoin Cash that the money that's moving the market can't be boiled down to a few big players anymore. The reality of Bitcoin Cash is that it's Bitcoin, but it works, and it has a big advantage in being able to handle hashpower fluxuation. This gives added security to the network, and therefore people's Store of Value™. As for purchasing of large players, that's what's been going on all these weeks. They are using a similar strategy to what I propose and letting sellers sell to them. @quang - I suppose it's possible, but Bitcoin is not entrenched enough in society that if it were to pop that it would affect major industries, technology, and finance. I'd be more concerned about the opposite happening. I don't forsee people running to wire money to GDAX to buy Bitcoin amidst major economic crisis yet. Hello @RiversAndMountains . I bought all your posts so far and after having educated myself in whats going on, I have two questions left for you: When the cashening happens, if it happens, shouldn't they prefer to buy Bitcoin Cash slowly instead of making a rush to translate that feeling of confidence and "natural growth" that had Antshares when rebranded to NEO for example? My second and last question is, if the "big blockers" are one of the sides of this operation, shouldn't it be logic or possible that they try to "destroy" in a pump & dump some of the coins that represents a threat to them or to Bitcoin Cash? I'm thinking about IOTA (Which has demonstrated that big volume is enough to show how useless is), Ethereum (Crypto kitties) or Bitcoin Gold (Still nothing happened to this one thou being a real threat to big blockers)? Let's say the bitcoin bubble does pop. Could the implications of it trigger a larger global recession? @quangdexter. No because one of the reasons the bubble will pop is because the market is a lot smaller then the numbers make it look like. There is no 500 billion dollars of value in the market, does numbers are inflated because of shaddy exchanges trading on their own platform, them allowing wash trading (traders that sell and buy to themselves) and much much more. However when the bitcoin bubble does pop the market prices of all most all crypto will be affected. Maybe it's a good thing. Maybe it will get known as the great 2018 crypto purge. I only see a future for Bitcoin Cash and Ethereum. And I talking in terms of a functioning network, with a active community, active development and a ecosystem of users and miners. Maybe Monero too, other then that most crypto just don't offer anything that some other crypto does not do better and therefore they are pretty useless. There are theories that tethers are being used not so much as a pump tool – retail traders are doing that themselves – but as a safety net preventing BTC from significant dumping. This reinforces hodlers' confidence to hodl because it never really corrects much.